While there have been attempts to formally plan the growth of a city, this has not proved to be successful in many parts of the world. Informality does play a significant role in several cities, especially those that are in the emerging economies. For those working in the informal sector, access to capital is limited and resources are not plentiful. The informal worker or the street vendor therefore borrows from the public spaces of the city where no price or a small price can reduce or eliminate the overheads related to rent or ownership of a space. 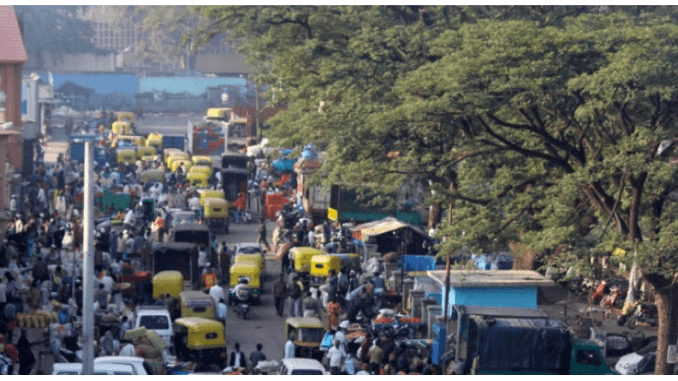 In a study conducted in the Russell market precinct in Bangalore as part of my PhD research, I tried to understand how the actions of vendors alter the street spaces in this neighbourhood. I found that the actions of the vendor are preceded by the decisions they make or how they move from a given location to a preferred location. This analysis draws upon the work of Herbert Simon on decision-making to understand in detail what I term as the situation satisfaction of vendors. Further, it was found that these decisions are based on a logic which is influenced by the needs of the traffic police, the shop owners or the local Corporator. The aim of this study has been to develop a framework that can help urban planners and policy-makers to re-orient their work based on the informality produced on the ground on an everyday basis, instead of working on the assumption that the informality does not exist, that it can be ignored or that it is possible to achieve ‘zero informality’. In studying informality in the urban space, one needs to know what the ultimate goal would be. Would it be to eliminate informality or to just reduce informality? Is it possible to have ‘zero informality’ in the urban space given the fact that the planning regulations are neither comprehensive enough when they are put together nor are they implemented in their entirety? This research has recently been published in the Journal of Urban design in a paper titled: The logic of design: its role in understanding the antecedents of urban informality which can be accessed at the link shared above. Our kind of woman cop! This cop is always available to lend a patient ear or land up at the scene of the mishap or crime. Meet C R Geetha. 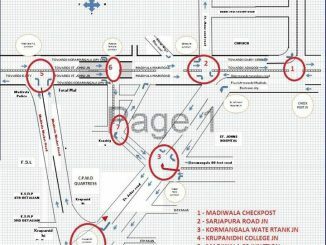 Bengaluru traffic police’s traffic plan in Madiwala: Will it work?